NEW DELHI — Incidents of looting and vandalism eased Tuesday in parts of India's information technology hub of Bangalore after authorities imposed a curfew amid widespread protests overnight over India's top court ordering the southern state of Karnataka to release water from a disputed river to a neighboring state. On Monday, police fired at a group pf protesters who set on fire a police jeep and motorbike killing one protester and wounding another in Bangalore, the capital of Karnataka state, said police officer Madhukar Narote. 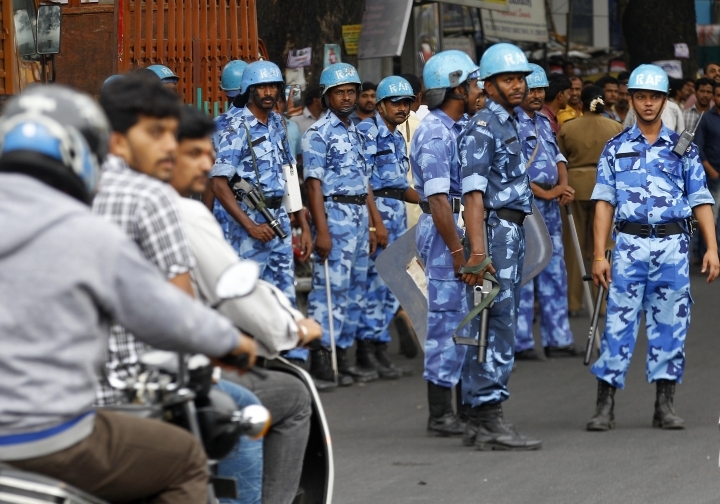 Authorities then imposed the curfew in the troubled parts of Bangalore, bringing the situation under control, he said. 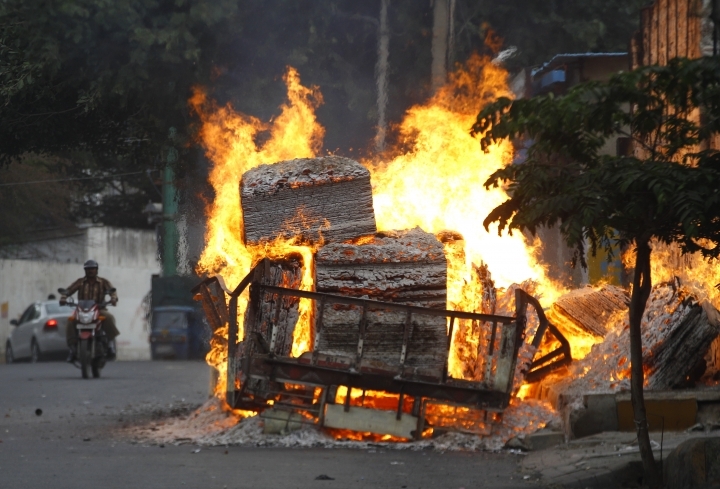 The curfew came after rampaging mobs set fire to dozens of buses, trucks and cars and attacked shops and businesses in Bangalore and some other parts of the state, police said. 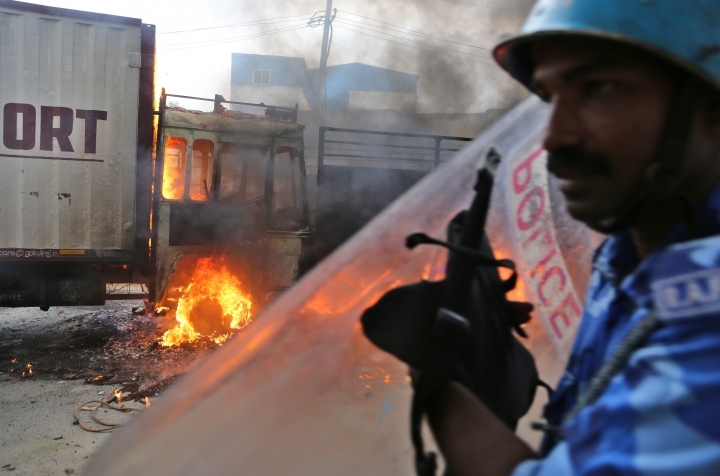 Television images showed dozens of buses, with license plates from neighboring Tamil Nadu state, burning in a private transport company depot in Bangalore. The company's managing director, Rajesh Natarajan, said nearly 40 buses were burned or damaged, PTI reported. Last week, the Supreme Court ordered Karnataka to release 15,000 cusecs (cubic feet per second) for 10 days to Tamil Nadu, a move that led to protests by Karnataka farmers, who say they have no water for their fields. Police in Bangalore passed prohibitory orders preventing the gathering of more than five people after angry mobs smashed the windows of several buses from Tamil Nadu and attacked bus drivers. Many schools in Bangalore were closed Monday. 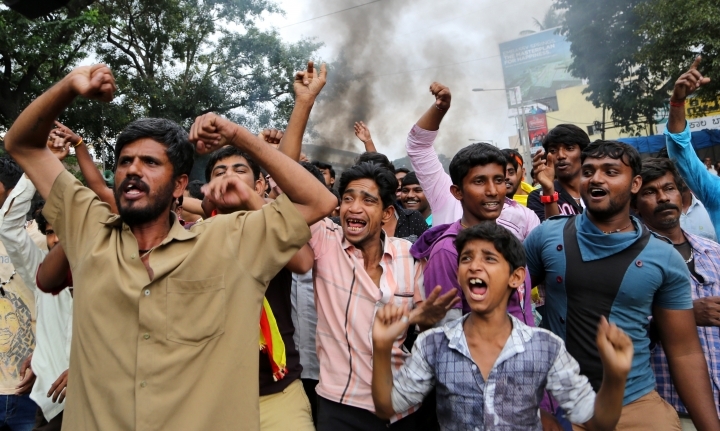 Offices and shops were closed as groups of young men wandered the streets attacking property owned by people from Tamil Nadu. 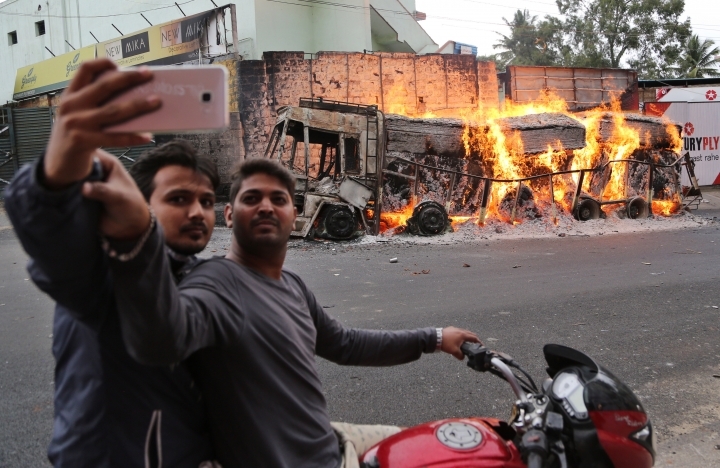 In the city of Mandya, 100 kilometers (60 miles) southeast of Bangalore, protesters set fire to trucks and buses bearing Tamil Nadu license plates. Karnataka authorities have stopped bus services to Tamil Nadu for an unspecified period of time to prevent passengers from being attacked. Farmers in India are largely dependent on monsoon rains and rivers to irrigate their crops. But with successive poor monsoons, rivers and reservoirs have been running dry and farmers in many places have been forced to cut the number of crops they grow.